Ford Freestyle Online Bookings Open On Amazon. 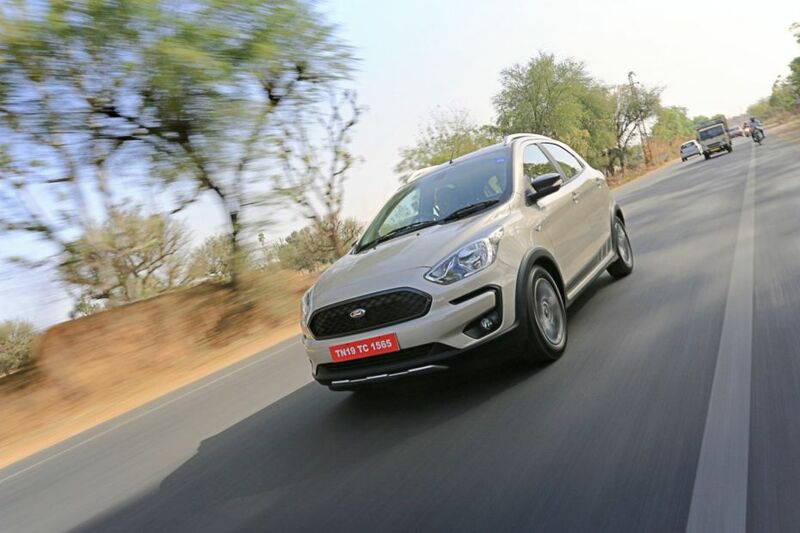 Just like it did for the EcoSport facelift last year, Ford India is going to open bookings for its upcoming crossover, the Freestyle, through Amazon India. The bookings will be open for just 24 hours starting from 2PM on April 14, 2018, and will be limited to just 100 buyers. The Amazon booking amount is Rs 10,000 instead of the Rs 11,000 that needs to be paid at the dealerships. Prospective buyers have to register themselves for participating in the sale and will be notified through either text message, email or app notifications. The page setup for the Freestyle’s bookings on Amazon’s website and mobile application will allow buyers to tick their preferences of the engine, colour and variants. If you’re planning to buy the Freestyle, it is worth booking it online since it would speed up the delivery of the new car somewhat. Ford says it will deliver cars to those who book online on priority. However, since online bookings are limited to 100 units only, don’t expect a massive delay if you’ve already booked a car at the dealership or plan to book one in person. The price of the car will remain the same if you book it online or at the dealer.